Asking people to donate, whether it’s money or time, is not a simple task. I find that clear, concise messages work best, but sometimes it takes more than that to convince people that a cause is worthy of reaching deep in their pockets. The Extra Life marathon is definitely a worthy cause, but people tend to get hung up on a few details. When I ask people to donate or join, I often hear the same excuses or questions. Here’s a quick rundown of those, and why you shouldn’t worry. So what, I’m paying you so you can play video games for 25 hours? Not even close! Think of Extra Life like any other charity marathon/run/walk. Running, walking, swimming, or biking has no direct effect on whatever cause they’re supporting. The marathon is symbolic, and it unites people for the cause. People rally around the participants, and it makes people feel good about donating. Extra Life is exactly the same, except we’re gaming. You can watch a lot of participants on Twitch.tv or Ustream, and follow their status updates on Twitter or Facebook. Donations go straight to whichever hospital the participant chooses, and we only handle offline donations. We don’t touch online donations at all. I can’t afford to make a donation. Can you skip your daily coffee for a week? Or skip renting a few movies or games? Did you know that most Children Miracle Network Hospitals do not turn away children, regardless of their family’s ability to pay? Chances are, you know someone who has been affected by a CMN hospital. Case in point, you know me. Both of my daughters spent some time in the NICU at Children’s Hospital of Wisconsin. These hospitals help kids with all kinds of ailments, like premature birth, diseases, or injuries from accidents. Give these kids the opportunity to be kids. I don’t like using my credit card online. No problem! Participants can accept cash or check donations, too. They'll make sure your donation is counted and sent to the right place. I was going to sign up, but I don’t understand how it works. How do they track you? These days, it seems like the “Honor System” is being phased out, but Extra Life still believes in it. All you have to do is sign up and ask people to donate by pointing them to your page. Nobody is going to make sure you’re gaming for 25 hours, in fact you don’t even need to play for 25 hours (see #3 below). I don’t like asking people to donate. I hear this a lot, and I completely understand it. However, you might be surprised at how people react to your good intentions. You don’t have to be annoying about it, a Facebook/Twitter post every few weeks goes a long way. Emailing your family and closer friends can’t hurt either. If you prove your cause is worthy, nobody is going to look down on you for asking for donations. November 2nd doesn’t work for me. That’s ok. November 2nd is the “official” marathon, but you don’t have to commit that day to gaming. If you have a scheduling conflict, pick a different day, split up the 25 hours over a week, or split the time up with 3 friends. You don’t even need to play all 25 hours. In the end, the gaming doesn’t really matter. Like I said before, the marathon is symbolic, that is all. Raising money for kids who need help is what’s important. Be a hero. 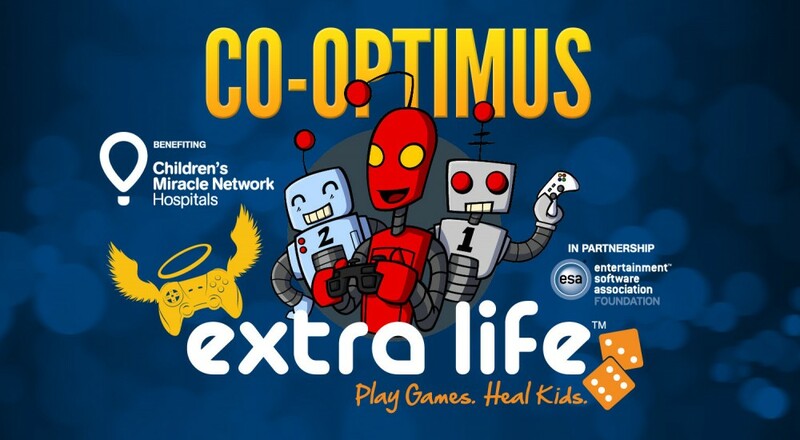 Extra Life was born out of the video gaming community, and was initially a video game marathon, but that has changed. You decide what you play, and you can even define what “play” means to you. If you want to kick a ball against the wall, go for it! Just pick something you enjoy doing, and do it. You should tell everyone what you’re doing, maybe people will donate more if they think you’re being creative or unique. I won’t be able to raise a lot of money. How do you know if you’ve never tried? I guarantee that if you join and post to your social networks, you’ll receive a donation from someone you did not expect. Even if all you raise is $10, it counts. Chances are you’ll raise much more than that if you just put your message out there. When I asked around for people to join Extra Life, I was turned down by at least ten people. If those ten people had joined and asked their family to donate, I have no doubt that they would have raised an average of $100 each. Do the math, that’s $1,000 raised. Now that’s some serious fundraising. Even if you only raise $10, and your team raises $1,000 together, you’ll feel good knowing you were part of that. Have I addressed your concerns? Are you ready to join or donate? Head over to the Co-Optimus team page for more info. I don’t want anyone to shy away from Extra Life. If you have questions or concerns about joining or donating, feel free to contact me. You can reply to this post, PM me on the forums, or email me.